Use New Barrier Bags build an effective water barrier to protect property against floods, water heater leaks, broken pipes, overflowing toilets, and other liquid emergencies. 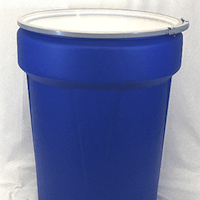 Sturdy construction – Hydrophilic, non-woven fabric covers four layers of patented super-absorbent polymer. 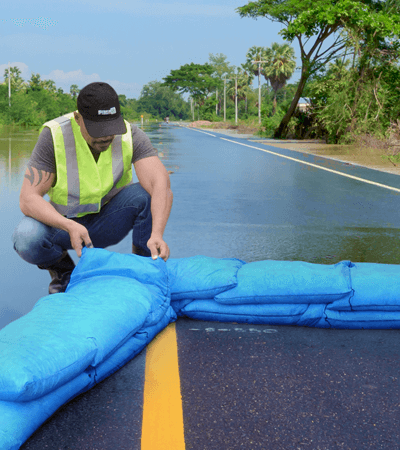 Quick acting – In minutes, these sandless sandbags absorb water to 90% capacity, preventing floods and leakage from causing damage to surrounding property. 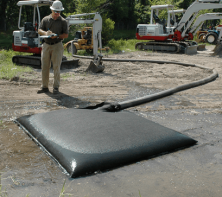 Easy to use and transport – pre-activated, Barrier Bag sandless sandbags weigh less than a pound each and measure 17”x 22” when dry. Superior water barrier/flood barrier – at full absorption Barrier Bags provide between 30 to 40 pounds of flood stopping weight. Engineered consistency – designed and built to maintain a consistent shape throughout the Bag. Other bags tend to slump to the bottom end when picked up, will not stack as well and are not as effective at sealing off water. Each pre-activated bag weight about 1 pound. Once filled (activated) each bag weighs about 30-40 lbs. 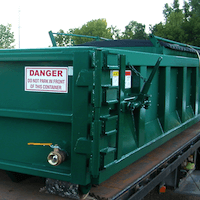 Staging pool is a term used to identify a portable pool, bucket, kiddie pool, etc. used to initially activate/fill the barrier bags. 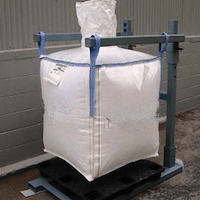 Barrier Bags are always initially filled with fresh water, but can be used after filling in use as a water dam, flood barrier and other applications to prevent salt water intrusion. 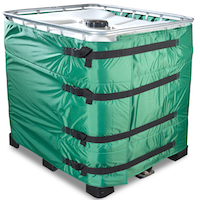 Barrier Bags can block water for as long as they are still filled. In warm temperatures the bags can start to lose water in 1-3 months. In cool conditions, 3 months or more. 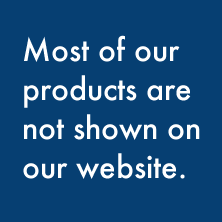 Due to varying conditions, precise timeframes are notexact.